We are passionately engaged in providing an exclusive array of UV Interdeck. According to the industry norms, the product is developed with excellent quality raw material and advanced technology. 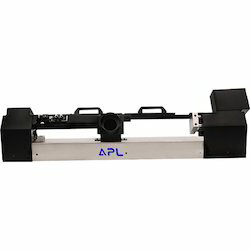 This product is given an extra advantage to printer for printing with UV ink. Offered product is stringently tested on numerous parameters in order to supply flawless range at customer’s end. We are offering this product on numerous specifications to choose from. Backed by a team of creative and skilled designers, we are highly engaged in providing UV Interdecks. We make use of supreme quality basic material for manufacturing this product. Our product is can be availed from us in different specifications as per the specific needs of customers within given time. This product is inspected on diverse parameters of quality in order to make certain its flawlessness. 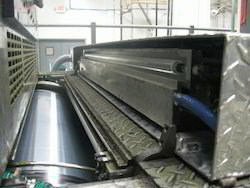 Our organization has tirelessly sought after brilliance in its try by giving premium quality Heidelberg UV Interdeck System. Utilized for imprinting on PVC covered board, plastic sheets, overlaid paper & board, and on different materials, this framework is exceedingly valued among our customers owing to its characterized gimmicks. Our offered framework is fabricated from the subjective segments and modern innovation. With a specific end goal to give best in class framework to the customers, our quality specialists check it on various parameters. 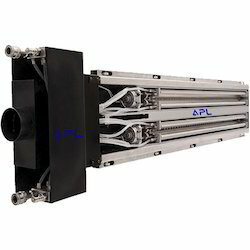 We are decently introduced association in the business, very affianced in displaying a wide collection of Water Cooling UV Interdeck to our esteemed clients. Exceedingly used for fluctuated purposes, these are broadly esteemed in the business. Our offered show is exceedingly refreshing in the business sector and can be procured at extremely temperate costs. 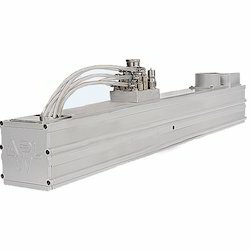 Looking for UV Interdeck ?